September 23, 2013 (Steamboat Springs, Colo.) – SmartWool, the category leader in outdoor and snowsports socks, has declared October as National Sock Month and will launch a month-long retail engagement campaign known as Socktober. On October 1st, SmartWool’s inaugural Socktober promotion kicks off at participating retailers nationwide and takes design cues from ’80s hair metal artwork. Participating dealers will be ‘socked’ – ie: completely surprised – with boxes of socks and Socktober-specific promotional programs. Additional retailers, as well as random fans and followers, will be ‘socked’ throughout the month. SmartWool will also initiate a month-long advertising campaign based on the consumer profiles of participating merchants. Consumer outreach will drive traffic to a specific Socktober URL, directing users to a participating Socktober dealer landing page, a Socktober playlist by the Spotify music service, as well as a Facebook sweepstakes portal. SmartWool will also reward the stand out rock-themed tweets, Instagram photos, and Facebook posts with socks, Socktober guitar picks, and other promotional items. Follow or interact with SmartWool’s Socktober initiative at rockoutwithyoursocksout.com or #Socktober. ABOUT SMARTWOOL: Based in Steamboat Springs, CO, SmartWool® is an apparel brand whose products are inspired by living and playing in the mountains. The company offers year-round apparel for an active life lived in unpredictable mountain climates. SmartWool® products are created to get the most out of the inherent benefits of Merino wool while delivering extraordinary comfort through intelligent and thoughtful products, allowing mountain athletes to do what they love to do longer. For information on the full range of SmartWool® products or to find a dealer near you, please log onto SmartWool’s award-winning website: www.SmartWool.com. 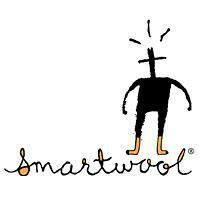 SmartWool LLC is a wholly owned subsidiary of VF Corporation. For event and company updates visit us on Facebook: http://www.facebook.com/smartwool on twitter: http://twitter.com/smartwool or Instagram: http://instagram.com/smartwooligan.